Bunny was sick yesterday ... the nasty, throwing up kinda sick. She's a trooper and was pleasant and so grown up about it. She napped a lot and watched various movies throughout the day. (for me it is all about balance when it comes to screen time) Baby Sister missed having her to play with and would pull herself up to the couch and fuss until Bunny would talk to her. I love the love they share! Since Bunny was sick, Nana decided it was a good time to make juice jigglers, using grass-fed gelatin. Inspired by recipes linked here at Eco-Kids Tuesday, she warmed three cups of juice. While that was warming, she mixed 1/4 cup gelatin with another cup of juice and let in sit for a minute. Then she removed the pan from the heat and mixed it all together. After pouring it into a 9X13 glass baking dish, she refridgerated it for a few hours. It cut nicely into jiggler cubes and tasted great! Each week I am amazed at how much I am learning from the bloggers that share their links with us! Thanks so much to all of you for taking the time to do so. Little Bins for Little Hands shared an Earth Sensory Table featuring air, land and water. 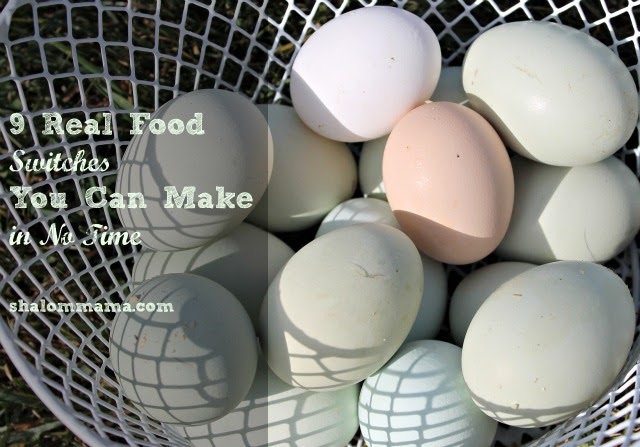 Shalom Mama shared her 9 Real Food Switched You Can Make in No Time! We have been eating whole foods and adding in things like bone broth and feeling so good! This time of year means TICKS here in WV. 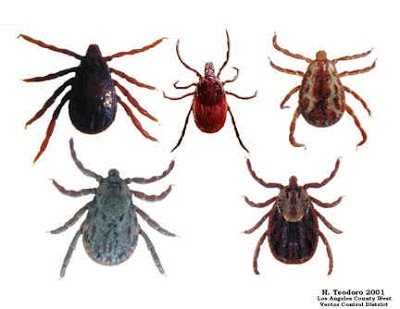 I am grateful to read this post from Jo's Health Corner about using essential oils to deal with ticks! Kate's Apartmentsteading shared her post DIY Waldorf for Poor People. I have really enjoyed her waldorf posts! 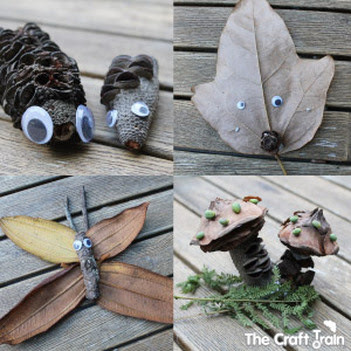 These bush critter from The Craft Train are so cute and fit our nature art activties. I am sure you will be seeing these again here soon! I already have found some great new ideas! Thanks for hosting each week.This is such a fun place. I have shared two posts this week. They are really not both called Optimism:Pass it on. I just goofed. The one with the sick kid in bed is called Tummy Trouble. Thanks for hosting! 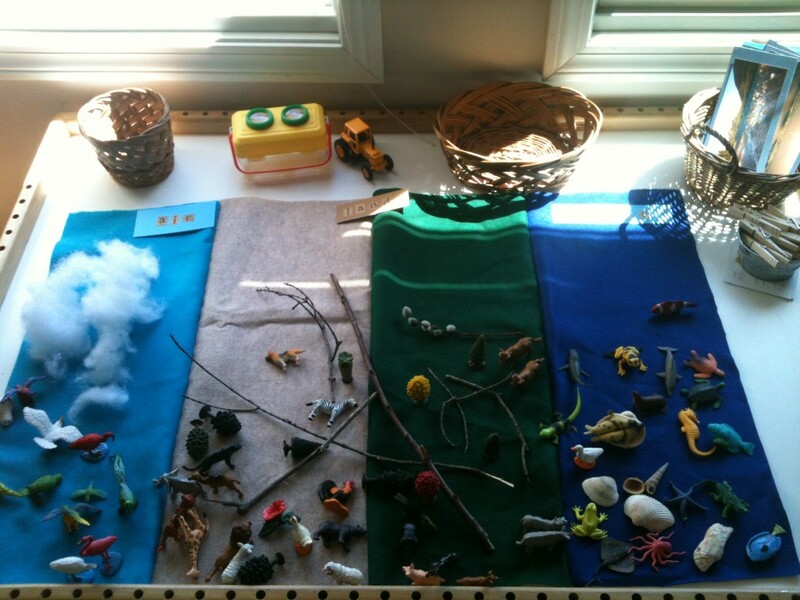 Those critters are cute! Last year, at our local arboretum, they set up a fairy house making area using natural items. The kids had so much fun! 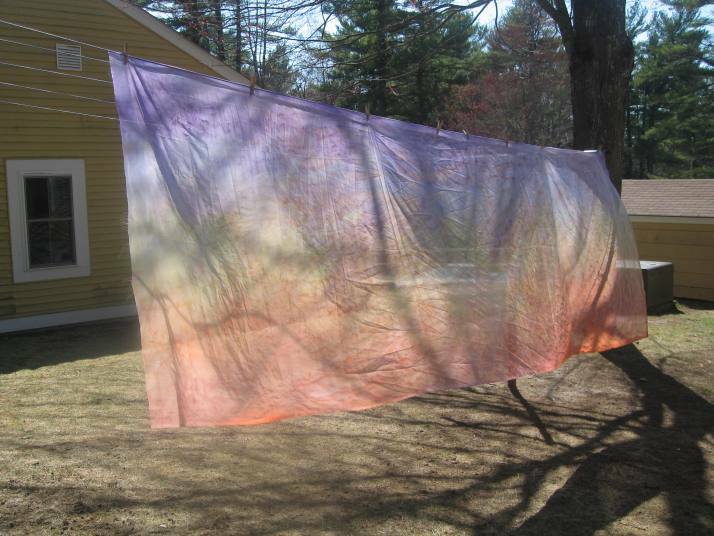 I should set something up in our yard for the neighborhood kids. I'm so glad your juice jello turned out delicious! Thanks for inviting me to your link up to add the recipe. Wishing you and your family a beautiful week! Thanks for hosting and thanks for the feature! I'm glad you found the information useful. I hope Bunny is feeling better. The juice jello is great, something I have to try with my kids..
We made the probiotic gummy candy you featured a while ago from Small Footprint Family. They were yummy!